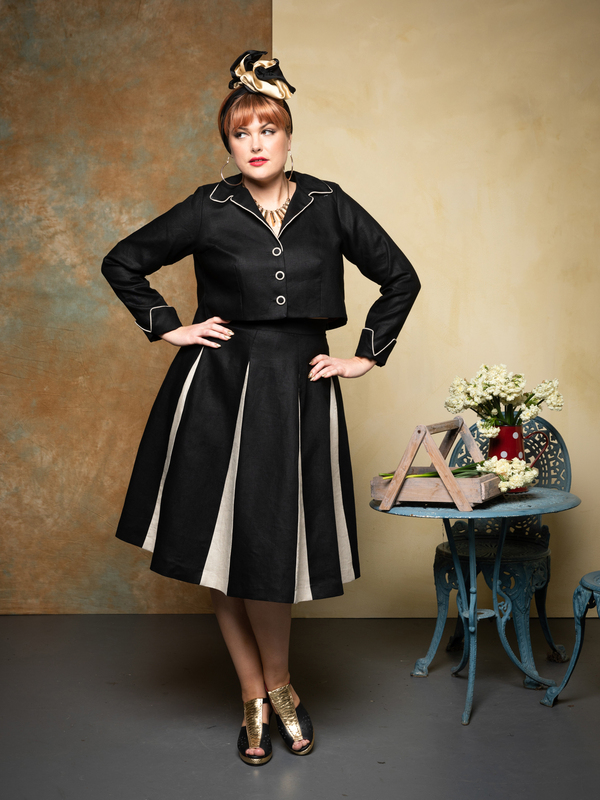 Lulu looks so very classy in the Sorrento Linen Jacket in NERO/naturale and matching Roman Holiday Skirt. We will be selling these garments as separates but they do look very snappy as a set!! The sophisticated Roman Holiday Skirt is designed to taper in at the waist, skim the hips and fall to mid calf.